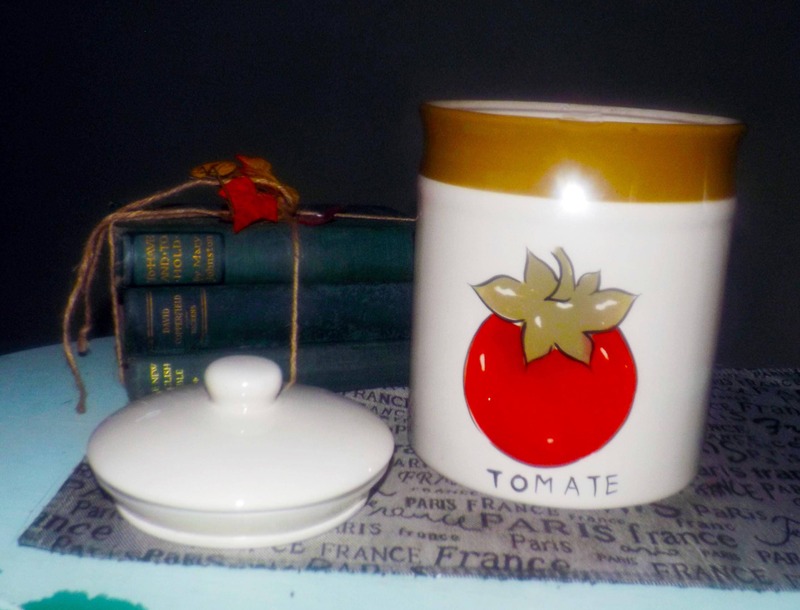 Vintage (1990) TAG Ltd. vegetable series Red Tomato | Tomate large canister with vacuum-sealed lid. 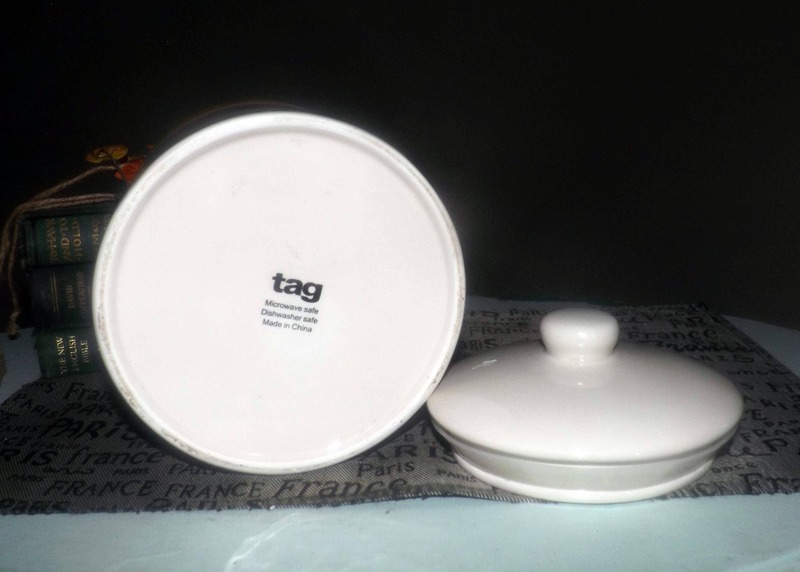 Vintage (1990) TAG Ltd. Tomato | Tomate large kitchen canister with vacuum-sealed lid. 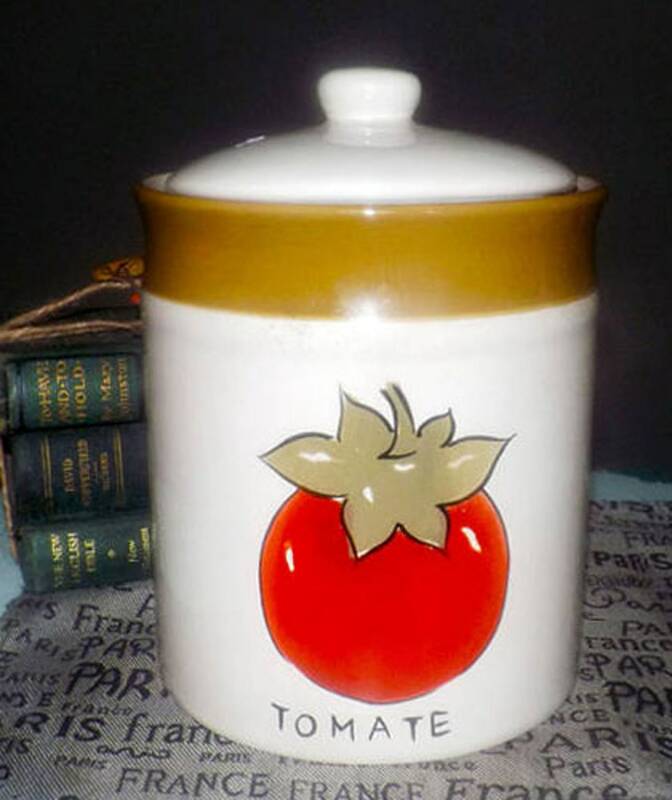 The wording TOMATE appears on both sides of the canister with an olive-green colored bar about the top. In EXCELLENT! 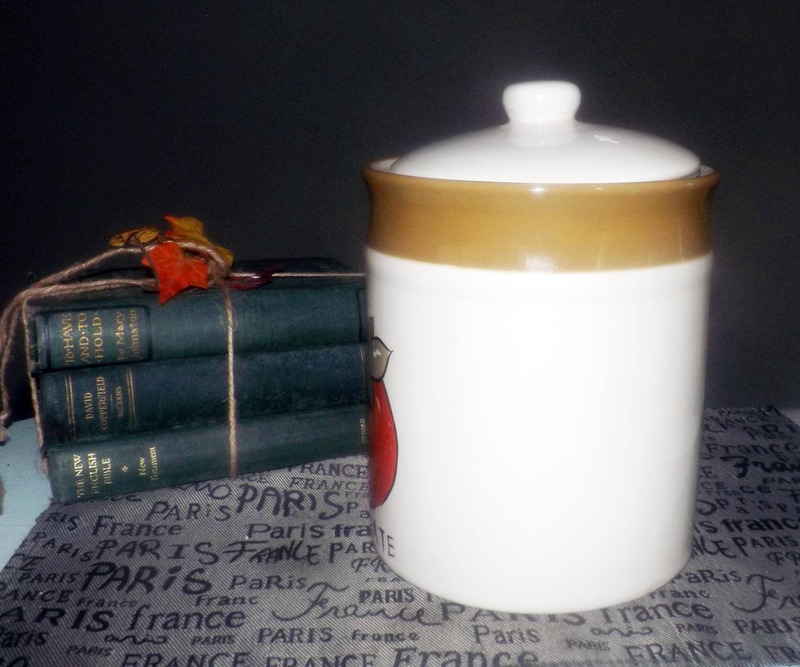 and unused condition this cute canister has NO! chips, nicks, cracks or fleabites, NO! crazing and NO! marks, stains, scratches or other signs of use or wear. 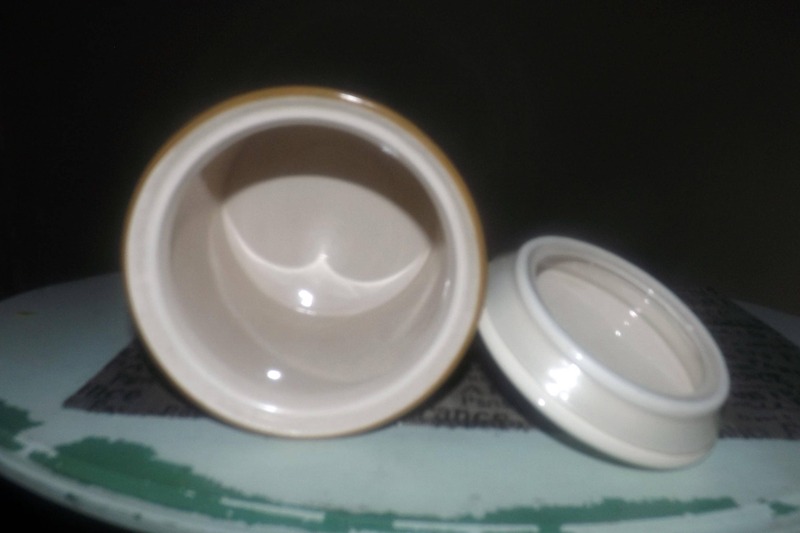 The inside of the canister is clean as a whistle and the seal on the lid is tight and secure, helping to keep air out and contents fresh. 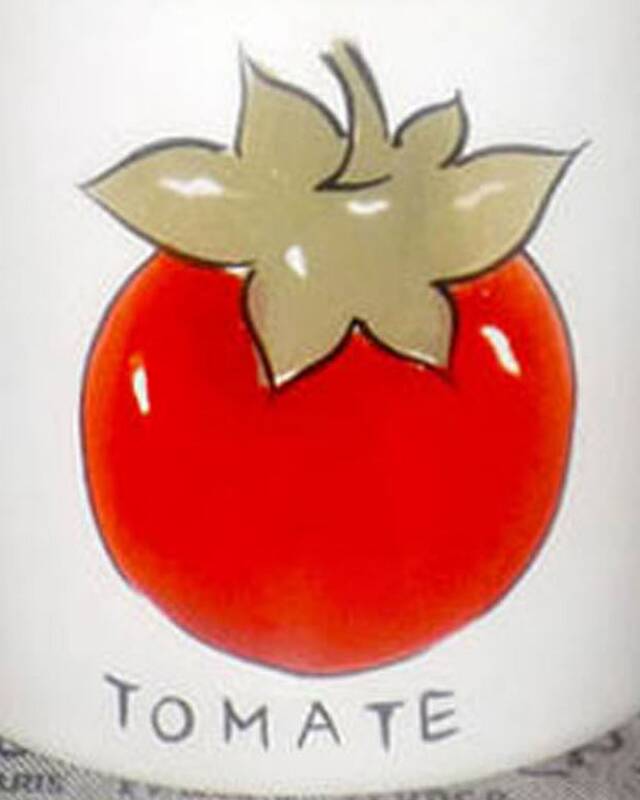 The wording TOMATE and tomato imagery on both sides of the canister is clear and legible with NO! fading or wear apparent. 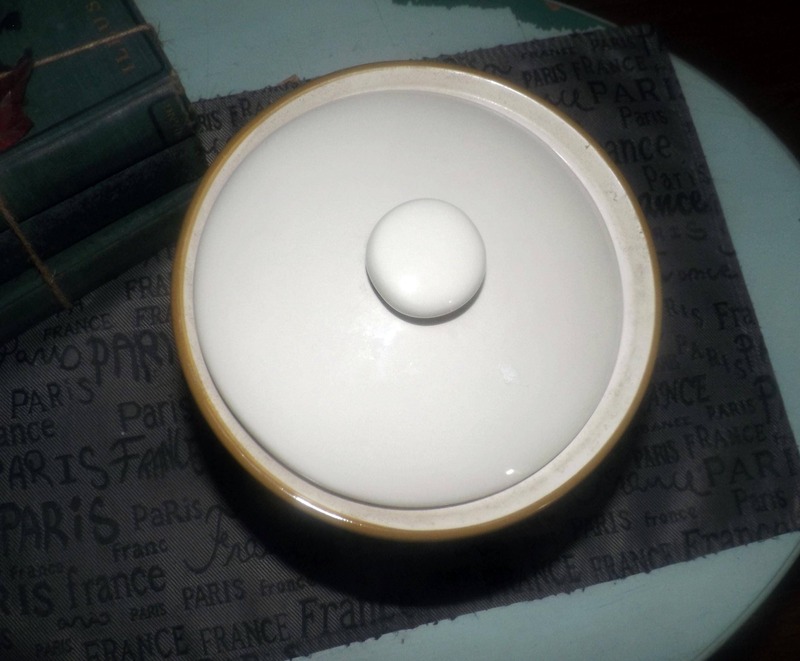 Approximate measurements: stands 9" (base to top of lid pull) with a 7-1/2" diameter bowl.